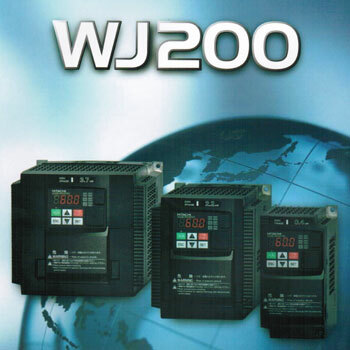 WJ200 Series can be easily operated with the digital operator provided as standard. The digital operator can also be detached and can be used for remote-control. Multilingual (English, French, German, Italian, Spanish and Portuguese) operator with copy function (SRW-0EX) and digital operator with potentiometer are also available as options.